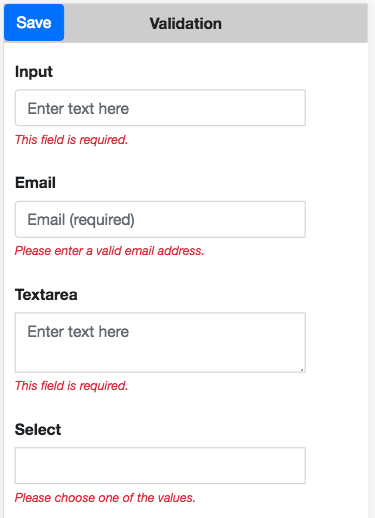 With the release iOS 12.2, we are able to add a couple of new features to the Bootstrap 4 Input control. (These features are in Chrome 69+ as well). You’ll need AppStudio 7.3.1.2. These new features will help users enter information more quickly and accurately. 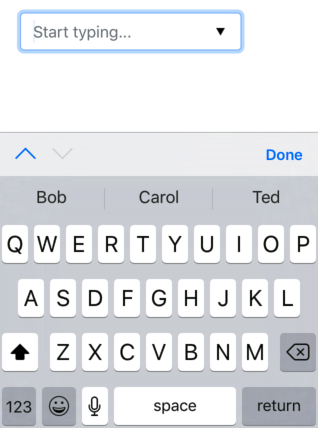 DataList lets you control the hints the keyboard brings up as the user type into an Input control. 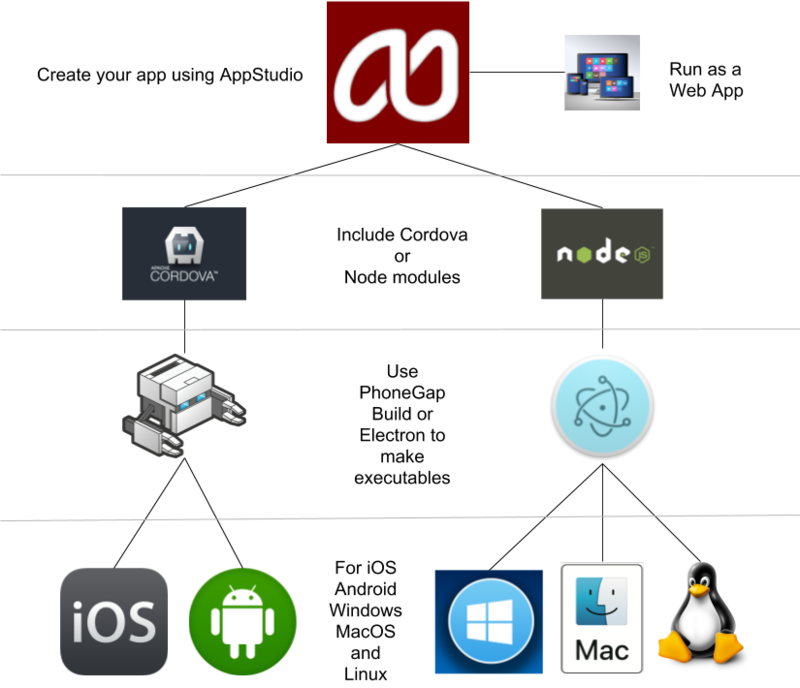 AppStudio 7.3.0 added support for Node and Electron. How does this fit into the AppStudio ecosystem? In the top row, we have AppStudio itself. As always, you use it to create apps. They can be used immediately as web apps – no further processing is required. They’ll run wherever there is a compatible browser. AppStudio 7.2.2 introduces the CSSGrid control, which provides a grid-based layout system, with rows and columns, making it easier to design web pages without having to use floats and positioning. You can layout your form with areas, each of which can act as a container for the actual controls you will use. It’s a big help if you want to make a responsive layout. There is reference documentation about it in the wiki – let’s walk through a tutorial of actually using it. This is actually how a lot of web pages are laid out. A Header at the top, a sidebar on the the left, some content in the middle and on the right, and a Footer at the bottom. For fun, we’re making a Footer which isn’t full width. AppStudio 7.2 adds a useful property to the Select control: value. It’s a hidden field which keeps a value. This could be an index or a key to a database which lets you look up a record easily when a Select choice is made. Using this can greatly simplify your code. To make this feature work, we had to change the Select control. You may need to change your code! 1. Change Select.value to Select.text in your code: So the statements would make sense we had to rename .value to .text. 2. Check any case where you’re using .addItem. If you have just a single argument, you do not need to do anything. If you have multiple arguments on addItem, add a new value argument as the second parameter. Ever feel like this when trying to get your CSS to work? You’ll find the Flexbox control is a big help. Flexbox promises to save us from the evils of plain CSS (like vertical alignment). Well, Flexbox does deliver on that goal. But mastering its new mental model can be challenging. So let’s take an animated look at how Flexbox works, so we can use it to build better layouts. Flexbox’s underlying principle is to make layouts flexible and intuitive. Plus, there’s a follow up article. Want to get a wider audience for your app? Make it work in multiple languages! AppStudio 7 introduces a library to make this much easier. You write your code once. You supply some translation tables. Your app then runs in multiple languages using the same version of the code. AppStudio Common and Bootstrap 4 controls already have translation built in. Any text which is in the Translation Table will be automatically converted. You don’t have to do anything except include the i18n library and the table in your project. The $.i18n() function looks up what the app’s language is set to. If it is “en”, nothing happens and “Monday” is assigned. 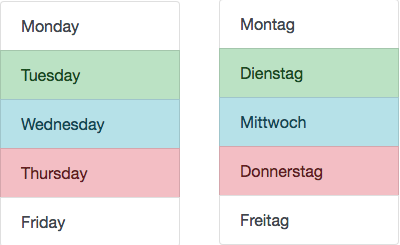 If it is set to “de”, the function returns “Montag”. You can add as many strings as you like. Each set of controls seems have its own method of handing i18n. For example, jqxWidgets has its own scheme. We go into the detail in this and other information in this Tech Note on Internationalization. There is also a sample included in AppStudio called i18n. It shows the effect on lots of controls. 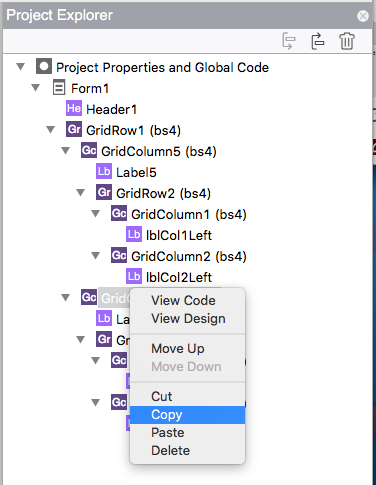 With AppStudio 7, it is much easier to move controls around on your form. If you right click in the Project Explorer, you’ll see new options to Cut, Copy and Paste controls. You can use them to move controls from one container to another, or to paste multiple copies of a control into a specific container. They also work between projects: you can copy a control from one project and paste it into another. They even work on containers: you can cut, copy and paste entire groups of controls. Complex projects are now much easier to manipulate! Ever want to give your user a quick message about what he is doing? The Snackbar message is an easy way to do so. It displays a message with an optional action. The message stays on the screen for a few seconds, then fades away. It’s only available if you are using Bootstrap 4. The concept of a Snackbar message originated in Google’s Material Design.